Data is the new decision maker. A matured mobile strategy can facilitate data and information on the go to organisations. Which aspects of a business benefit from mobility, how information can be accessed, what security measures need to be adopted for for accessing data remotely are some of the issues that mobile solutions need to address. The business intelligence solutions address these concerns. And provide a framework for collaboration, sharing and informed decision making. Dashboards are the new personal assistants with informed data insights. 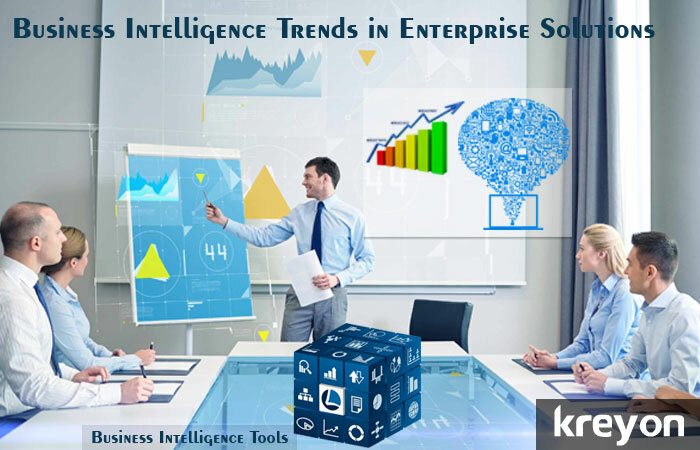 The business intelligence solutions are developed to uncover hidden trends valuable for business than simply present data. These dashboards present information in a contextual sense. They also present information which is configurable. For e.g. a help desk manager will see all escalation related parameters on his dashboard, whereas a sales manager would get to see the key metrics related to Sales of his team. Business intelligence solutions are meant to drive organisations. They create workflows for key business events. The systems trigger alerts & drive actions. For e.g. when a new escalation is raised, the support team will get the alerts related to the issue. In a banking sector, when the value of the collateral falls below the outstanding loan amount, an alert is sent to the concerned manager. These key events can be defined and configured in the system. One of the key challenges today in most organisations is integration of disparate sources of data. The quality, relevance and timeliness of information can have serious impact on the desired outcomes. It is important to have integrated information from various systems in a company to evaluate data & predict trends. The insights from various data sources can be used to improve the core operations of a business. The insights could be related to predicting the demand of goods for an ecommerce company, finding out the root cause analysis of power failures for Energy Company or some critical decision making parameter in any other industry. Making meaningful correlations from data collected from various sources requires lot of complex operations. It requires scanning through huge volumes of structured & unstructured data. A good business intelligence solution should bridge the gap between insight & action for critical functionality. The solutions are geared for high performance for best business outcomes. The ability to extract information from different solutions if the first step in aggregating data. The data is then analysed and presented in a meaningful way. The information patterns are visualised to provide actionable insights for the business. These tools will collect information from different systems, analyse it and then present it in context of business functionality. For e.g. supply of critical inventory items for energy sector is ensured with Supply Chain maps. The key performance indicators of a business are imperative for its growth. Many a times, it is hard to measure what matters. The right solutions find a way to collect the realtime information for measuring the KPIs accurately. Contextual insights are provided to users to aid decision making and take corrective measures. The access to social media data and its relevancy to organisations is growing. Brands across the world are trying to connect to consumers on these social media channels and trying to study their behavior. Organisations are now leveraging social data for improving their products and studying consumer patterns. Every company is looking for ways to improve forecast accuracy for various areas like marketing, customer retention, supply chain demand, growth areas etc. These models depend on historical data and information. The big data technology allows analysis of huge streams of data with advanced analysis tool to predict outcomes with greater accuracy. For e.g. an energy company may be able to predict power failures based on historical data and take proactive measures to plan maintenance activities. Business intelligence is about facilitating a knowledge base for companies to make better decisions. It has a reporting system, which is configurable and dynamic to suit the needs of the users. The sharing, collaboration and searchability of information for users. The knowledge management ensures that organisation acts on data insights in line with key objectives and goals. Business intelligence is about identifying levers that can help the organisations to reach the next level. BI is about predicting most profitable avenues for growth of a business based on data patterns. It is empowering your organisation with the best IT tools to deal with the changing world.